For those of you who are new to the blog, I thought I should mention that I work as a realtor for Coldwell Banker RB in Bethesda (you can see my contact info on the right margin of the blog). From time to time I will showcase interesting Bethesda related real estate projects here at Bethesda Actually. 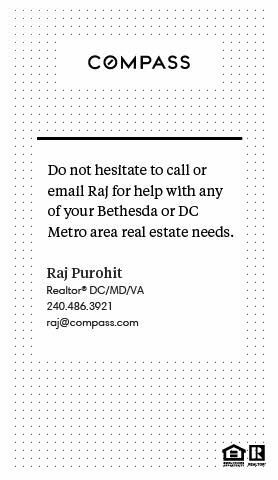 If you want additional info on the project I have written about, or any real estate matter in the Washington Metro area, you should feel free to call me at 240 486 3921.